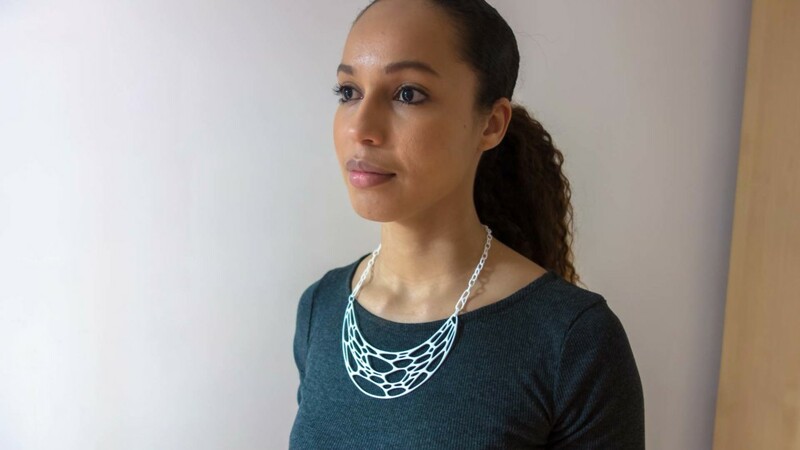 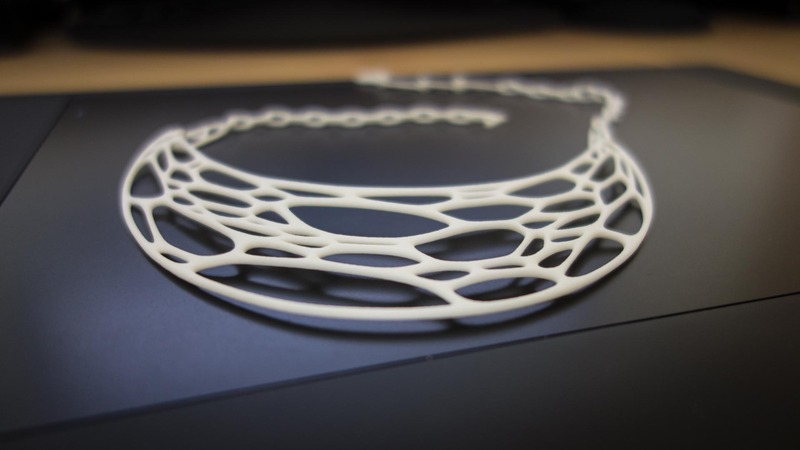 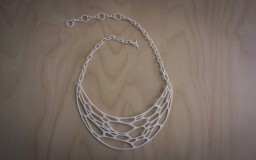 This necklace was inspired by the the semi-random organic shapes found in cellular structures. 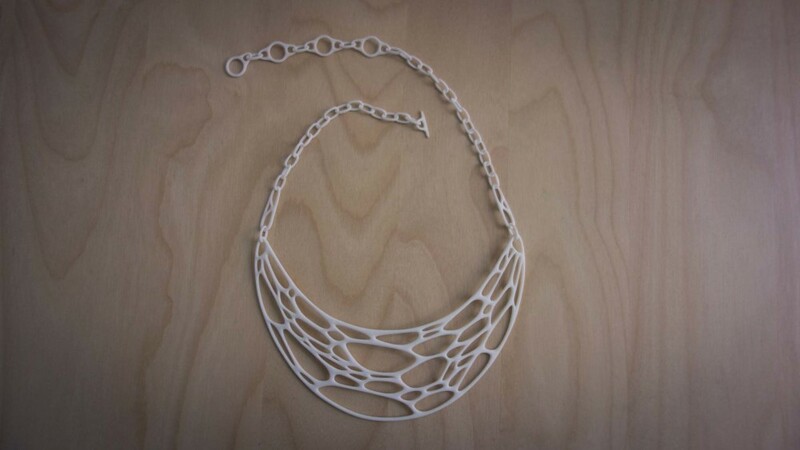 All 43 interlocking parts are 3D printed as a whole so that the necklace can be worn straight out of the box. 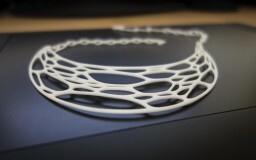 Four rings allow the wearer to choose from different lengths. 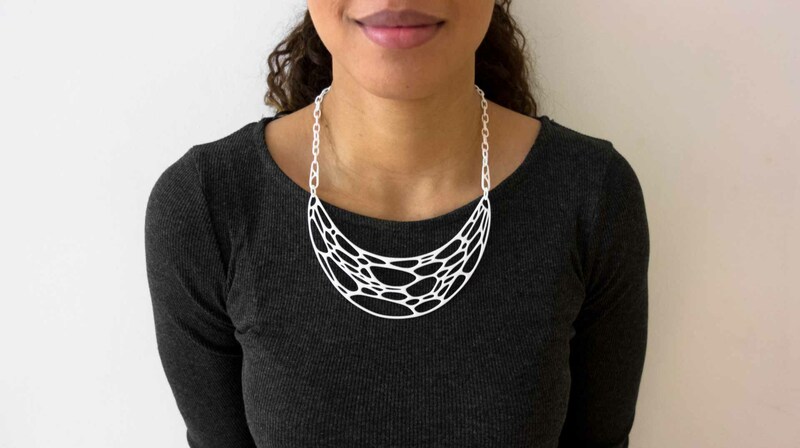 The cellular necklace can be ordered from my Shapeways shop in nine colors here.